As the innovator in HVLS fans and air movement solutions, Whalenado HVLS fans has been perfecting their design and air distribution model since HVLS fans were first introduced in 2001. Designed and engineered in Ontario (Canada), we are proud to be pioneers in elevating these high volume, low speed fans into energy saving and efficient products. With the most experience in Canada, Whalenado project managers are constantly offering turnkey air movement solutions to facilities nation-wide. 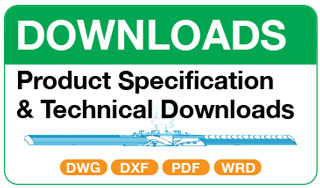 Our dedicated support team helps you understand, evaluate and position their energy saving solutions on any project. With the ability to design from concept to installation - our team is on the ground with the tools already built to help you evaluate the positive impact and energy savings on any project. With our expert advise and consultations, we ensure your project is strengthened by this intricate part of the air circulation and movement system. 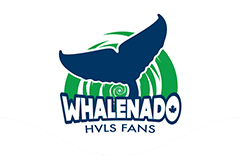 See how Canadian facilities have benefited from installing a Whalenado HVLS fan in their facility. Every building faces the same issue when warm air rises towards the roof while colder are settles towards the bottom of the building. If your building does not use HVLS fans, there is a high chance you are susceptible to creating a difference in temperature. Evaporative cooling occurs when a Whalenado HVLS fan produces air movement that touches moisture against an employees skin. This contact results in the moisture being evaporated, providing a cooling benefit.